TD Ophelia at 5 p.m. Tropical Depression Ophelia reformed on Tuesday and was expected to strengthen, the National Hurricane Center said. At 5 p.m., Ophelia had maximum sustained winds of 30 miles per hour and was moving at 5 mph. It was 175 miles east-southeast of the northern Leeward Islands. 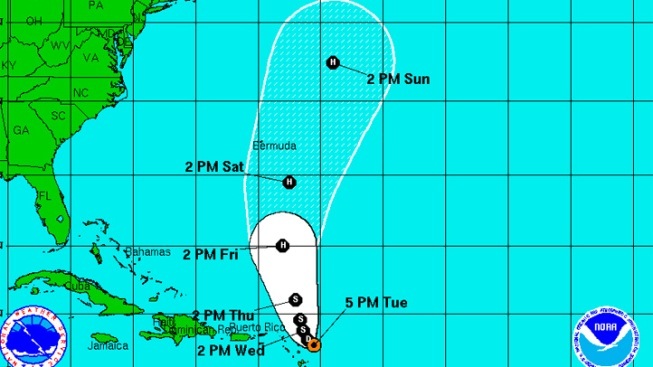 The depression could form into a tropical storm by Wednesday. Meanwhil, Tropical Storm Philippe continued to weaken. It had maximum sustained winds near 40 mph as it moved northwest at 7 mph about 795 miles west of the Cape Verde Islands, according to the latest hurriane center advisory. Some weakening was forecast for the storm within the next day and it shoudl became a tropical depression by Wednesday. No coastal watches or warning were in effect.